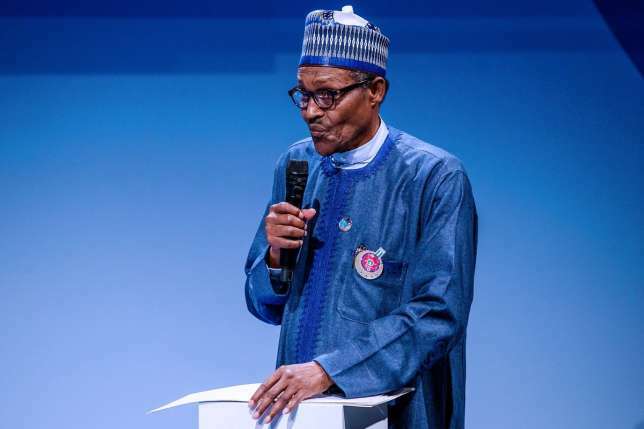 Buhari made the remark during the swearing in of the Independent Corrupt Practices Commission, ICPC, Board members at the Presidential Villa, Abuja. The President stated that â€œunbridled corruptionâ€ has inflicted major damage on Nigeriaâ€™s development aspirations. He also declared that his administration was determined to ensure that every agency of government account for public revenue generated or expended. According to Buhari: â€œLet me congratulate you, Mr. Chairman and Members of the Independent Corrupt Practices Commission Board for being found worthy to serve our country on this important assignment. Your appointment is a call to service in an important sector and segment critical in our governmentâ€™s agenda. â€œTodayâ€™s occasion is the continuation of this Administrationâ€™s fight against corruption. It is a cardinal programme in the three point agenda that I promised to pursue and will continue to pursue as I seek the mandate of Nigerians for a second term. â€œThe fight against corruption is very crucial in our national development. This is why I have often said â€“ if we do not kill corruption, corruption will kill Nigeria. â€œWe are all witnesses to the damage that unbridled corruption has inflicted on our development aspirations. Apart from deliberate and wanton looting of our national wealth and common patrimony, corruption has eroded our values and ethical foundation as a nation. â€œCorruption has negatively affected our political, economic and social life. Those opposed to our fight against corruption berate us for our focus, determination and single mindedness. They pretend that they do not know what corruption is. But Nigerians know what corruption is. Ordinary people know what corruption is and they support our effort and determination to fight it. â€œThe abuse of public office for private gain represents corruption in its worst form. The circumvention of public policies and processes for competitive advantage and profit is another form of corruption. â€œThe abuse of public office for personal benefit even if no bribery occurs is also corruption. The diversion of State revenue or miss-application of budgeted funds falls into the same category. â€œI am particularly delighted that the ICPC law under which you will operate is robust enough to assist government to sanitize the public sector of corruption in service delivery, public procurement, diversion of public revenue, deliberate misuse of public funds, and so on. â€œAs I have noted in recent times, despite our anti-corruption drive, some agencies of government still divert or refuse to fully account for revenue generated. Rather than obey constitutional provisions and extant rules and regulations, such agencies continue as if nothing has changed. â€œWe are determined to ensure that every agency of government account for public revenue generated or expended. I am looking forward to ICPCâ€™s support both for enforcement of anti-corruption laws and submission of policy measures and directives to prevent revenue leakage and diversion. â€œIn this regard, I urge you to collaborate with other government agencies such as the Office of the Auditor-General of the Federation towards mitigating wrong-doing in public expenditure. Furthermore, I look forward to receiving anti-corruption recommendations linked to e-Government standards and principles. â€œAs the old saying goes â€“ â€œPrevention is better than cureâ€. Your statutory mandate recognizes this principle. Therefore, I encourage you to come up with strong preventive policy measures and strategies for governmentâ€™s endorsement to take us to the NEXT LEVEL in the fight against corruption. I am aware that the ICPC laws empowers you to make proposals to assist government in this fight. â€œJust about a month ago, I opened your Corruption Risk Assessment training for anti-corruption agencies in Africa. That initiative, in support of my role as the AU anti-corruption champion is welcome, and I Iook forward to seeing ICPC distinguish itself as a leading institution in Africa in building capacity to conduct and implement corruption risk assessments. â€œBut charity must begin at home. Therefore, your skills and expertise must be demonstrated in identifying MDAs highly prone to corruption and what must be done to bring about better governance. â€œI am also aware that you have set up Anti-Corruption Transparency Unit in Ministries, Departments and Agencies. This is an important step towards corruption prevention and ensuring full compliance with governmentâ€™s anti-corruption measures and our laws. â€œI encourage you to make effective use of our ACTU in MDAs by receiving reports directly from such Units and taking enforcement measures to assist government realize its objectives of a cleaner public service. What about what's killing him?